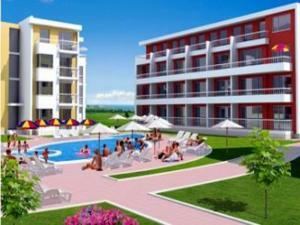 There are 5 properties in Sunny Beach Bulgaria. One bedroom, one bathroom apartment in front of the entrance of hotel Riu Evrika. Swimming pool. Furnished with a terrace. Off plan new development. 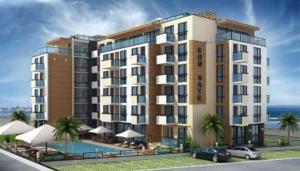 Completed date of this project is December 2009. 2 bed alpine villa style appt. 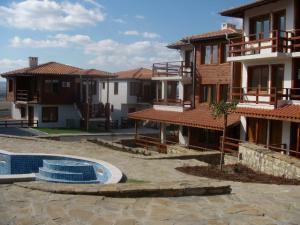 Built 2008, two pools,bar and resturant on site. mixed ownership with Russians, Bulgarians ans Brits giving a cosmopolita feeling. Gated community and great for peace and tranquility. an oasis. 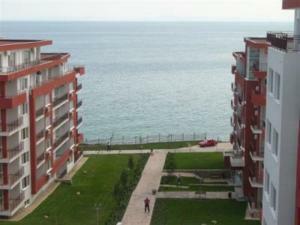 Advertise, market and Sell properties in Sunny Beach FSBO from the Owners on Globespan Portal. Sunny Beach Real Estate Agents selling all types of homes from Apartments, Apartment Blocks, Barges, Boats, Buildings, Bungalows, Businesses, Casas Rural, Castles, Cave Houses, Chalets, Chateaus, Condos, Condominiums, Cottages, Country Houses, Duplexes, Farmhouses, Fincas, Gites, Flats, Holiday Homes, Hotels, Houses, Islands, Life Styles, Lodges, Mansions, Marinas, Mobile Homes, Off Plan, Penthouses, Plots of Land, New Developments, Studios, Townhouses, Villas, Village Houses. Search for your ideal Sunny Beach Property Abroad, Overseas Sunny Beach real estate from over 35,000 overseas property sales & holiday rentals listings.